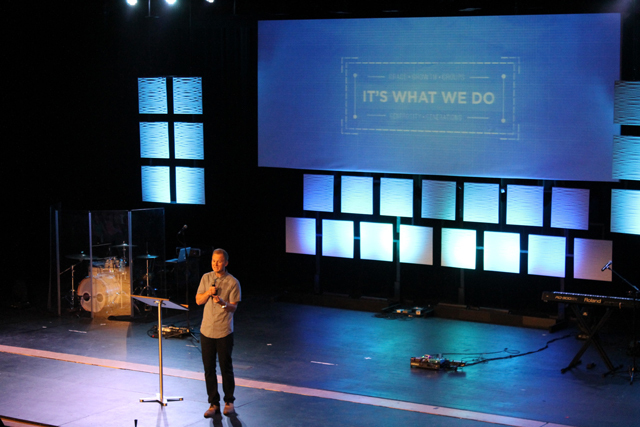 Southland City Church is a thriving young church congregation that meets in the Lakeville North High School. 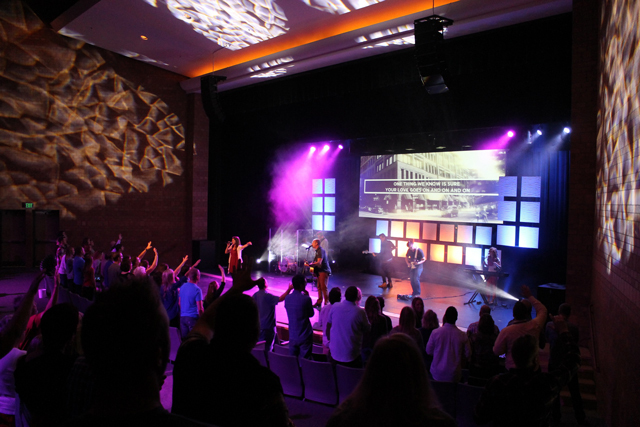 In partnership with Lakeville Schools Southland City Church hired Excel AV Group to design and install a new sound system within a tight budget. The sound system needed to get loud, be full range, be tight and impacting. As the floor of the auditorium is raked at a very steep slope Excel chose DB Technologies, a sister company of RCF. 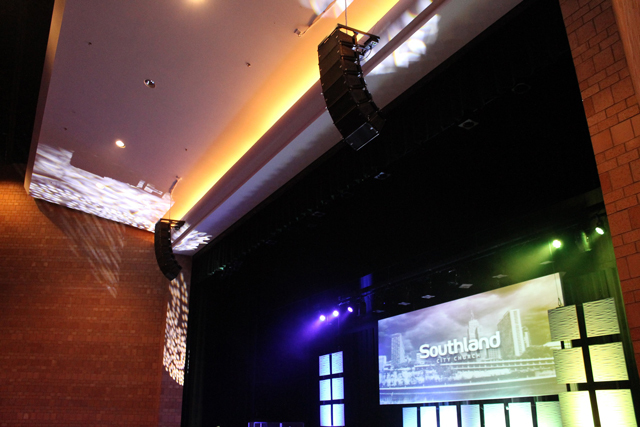 The DB Technolgies DVA T4 line array with the DVA S30N 3000 watt active subwoofer provides even coverage in the 1000 seat auditorium with only a 1db difference front to back. Excel also provided the Allen and Heath QU-32 mixing console and audio processing via Symetrix.